We like to claim that Hurlingham Books is possibly the oldest independent bookshop in South West London. The owner, Ray Cole was inspired to open the shop in 1968. His love of books, and people means that, to this day, he's still the first to open our doors every morning! If you love books as much as he does, our shop is the place to visit. But it doesn't end there. 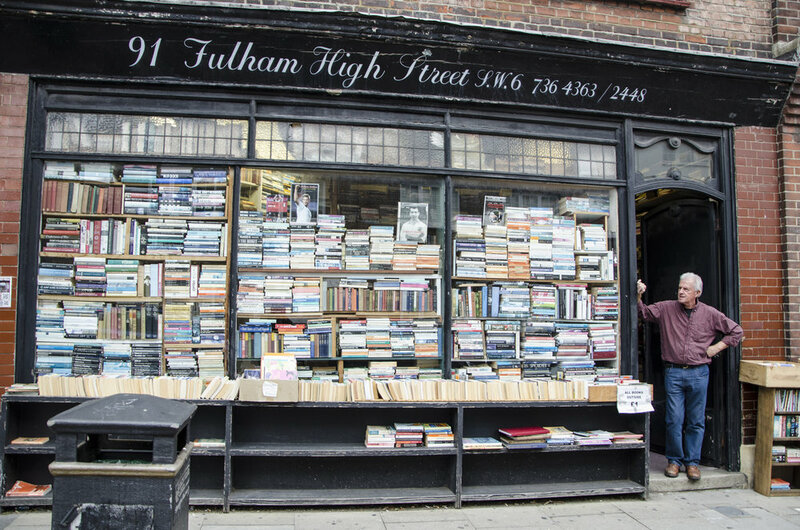 We have a huge warehouse also in Fulham (10 minutes from the shop) where we hold over a million books! Whatever your interest is..we probably have it! Ten minutes in Ray's company and you will have a friend for life, the book you want, and possibly a box full of other books that you didn't even know you wanted!